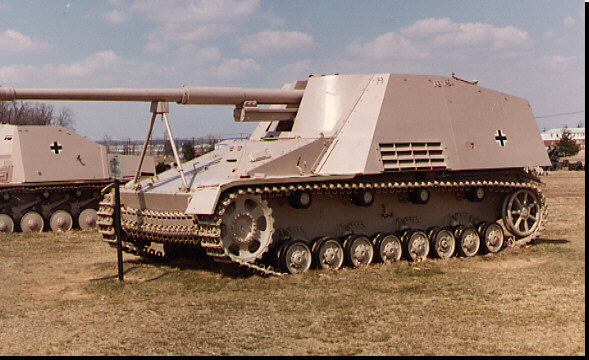 Big and powerful SP artillery piece with the 88mm gun on a 24 ton chassis. 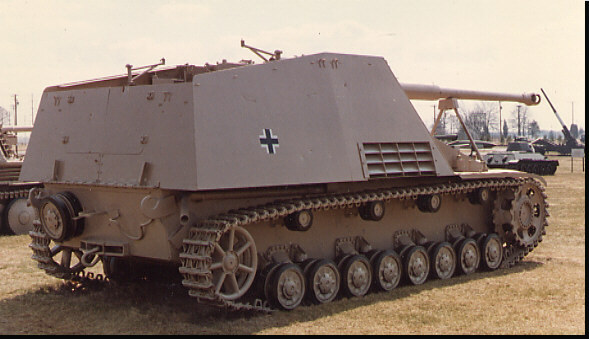 Chassis design combines best features of PzKw III and PzKw IV. Interim tank destroyer. Open fighting compartment, thin armor and high silhouette were problems. Saw action in Italy, the West and Russia.